You must make reservations at least 5 minutes in advance of the time at Riva Cucina. Lunch: Tuesday - Friday: 11:30am - 2:30pm Dinner: Tuesday, Wed. & Thursday: 5:30pm - 9:00pm, Friday - Saturday: 5:30pm - 9:30pm; CLOSED on Sundays. We have ample on-street parking for dinner service. For lunch, we recommend you parking in the designated Riva Cucina spots in the north end of the 2910 Seventh Street parking lot. Please contact Jennifer Boldrini for catering inquiries at jennifer@rivacucina.com. 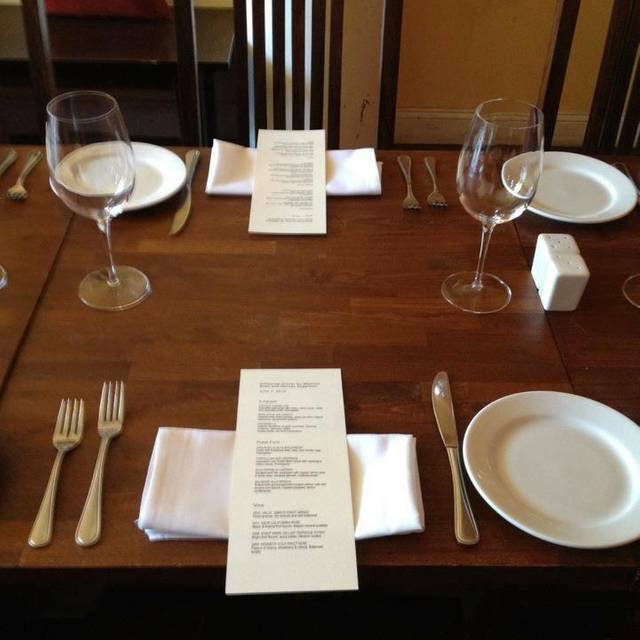 We have a private dining space that holds up to 22 people. 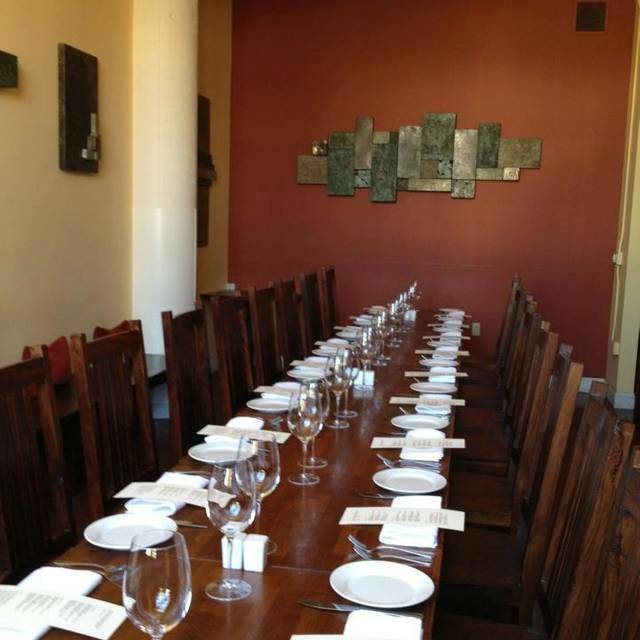 The entire restaurant is also available for private events of parties up to 58. Our Emilia-Romagna inspired menu offers a selection of organic foods from nearby farms and waters, as well as a few of our favorite products from Italy. We’ve created a place for guests to gather and relax with good food and good company. Bistecca Alla Griglia Grilled N. Y. Food was excellent, gluten free pasta is made in-house and was the best I’ve ever had. For those of you that roll your eyes at GF, it’s a real thing for some of us and it was a pleasant surprise. The atmosphere was quaint, the location is a bit hidden, service and food was superior. If you hang out with foodies, this place is perfect as they will appreciate all aspects of this restaurants. The food was very good and our waiter was excellent. Try any of the pastas! The antipasto appetizer is large and a great value. We also appreciated their small but excellent wine list. We've often eaten at Riva Cucina. The food is always wonderfully prepared and often quite innovative. The wait staff are personable, there when needed, and don't hover. The food is reliably excellent, which I say because after eating there over the last three years, we've never had anything but excellent food. Nice group get together. The restaurant was very accommodating and we had a great time! Delicious food and the cocktails were quite nice!! My college friend and I were visiting from Boston and Kansas City. We had drinks, salad, entrees and the delicious bread and olive oil. The endive & pear salad was really tasty & big enough to share ($15). Our portions were on the bigger side. I’m still thinking about that rosemary olive oil and am mad I didn’t buy a bottle. I loved that it was quiet enough that we could easily talk. but the place still felt lively. I've wanted to try this place for some time now, and I'm glad I finally made it! I have a number of severe allergies, which can make it difficult to eat out. I called in advance to ask if I could be accommodated, and was assured I would be able to have a wonderfully delicious and safe meal - and indeed I did! The food is fresh and vibrant and the staff are very warm hearted and gracious. Looking forward to dining at Riva Cucina again in the near future! Love Riva Cucina! Outstanding food & service. Tagliatelle bolognese is phenomenal and paired beautifully with the Kenneth Volk Pinot Noir. from the fritto misto and its aoili to the scallops that customers rave about ... the brussel sprouts were excellent (sauteed in a pungent olive oil and tossed in parmesan) as were the pasta dishes. The ravioli with marscapone and artichoke actually tasted of artichoke (and parmesan). 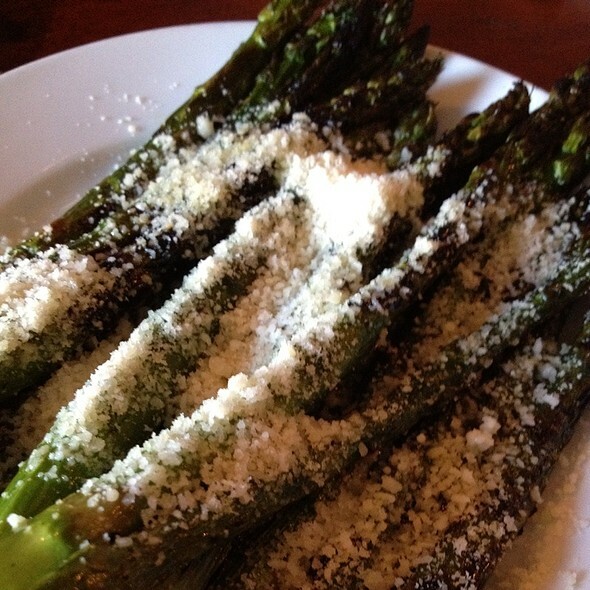 Not to go on about the parmesan, but it is the best I have had in a long time - sharp and well-aged. We shared the chocolate mint panna cotta which was lightly creamy with a wonderful degree of mint and a lovely way to end a solidly good meal. Exceptional food! Everything was well done nicely presented and authentic. What a little gem! Riva Cucina has been a family favorite for celebrations for many years. This last birthday celebration was rather disappointing. We arrived with a query as to who was having a birthday . It was my husband. After a dinner (pork loin, 2 arctic char - which my husband had some difficulty in removing the skin) we ordered a platter of cookies . What arrived was quite surprising - six rather small morsels - 2 small/tiny biscotti, and four quarter size cookies - 2 chocolate and 2 vanilla. I wondered why there was even mention of who's birthday we were celebrating. While we certainly weren't expecting much - a candle might have shown that the staff remembered their original question on a birthday celebration. All in all - a disappointing meal. 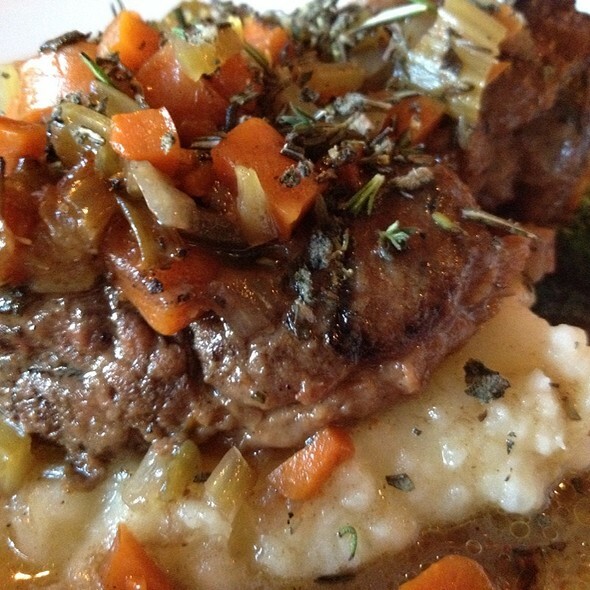 I have enjoyed Riva Cucina on seven or eight occasions over the past few years. This visit was particularly excellent. Service was wonderful; the staff seemed in a particularly happy mood. Their classic dishes were delicious -- Speck e Burrata & the pasta with sausage/sage come to mind. And as always it's just a little quieter than most restaurants which is so appreciated to have a decent conversation. I don't think I would recommend Riva Cucina. Although the food was fairly good, the service was a little unpolished. The steak (ordered medium rare) arrived medium. Even after it was sent back, the new one was still medium. A little hard to find, tucked back in a business park area, but, once there it was lovely. Somewhat of a "warehouse" look but comfortable and war too. We, 3 women, shared a great simple salad, 2 pastas and an artic char dish that was wonderful! I will definitely go back and would recommend it to friends. Consistent, Reliable and Scrumptious! SO glad Riva Cucina is around and in our own East Bay. This is a top notch restaurant that never fails to please us and anyone we dine with. The cuisine is authentic, perfectly balanced and wholesome. I could eat here every night!!! Pork shoulder entry was delicious with sauté spinach and creamy polenta. Artichoke raviloi was good however seamed to be missing the artichokes, which was unfortunate. Scallops signature appetizer was delicious. Quietly You have become the place for us to consider for special occasions! Food and drink qualitatively consistent. Service is considerate in allowing diners to become mellow yet be served timely. Your service was impeccable (Tanner) & the food was very good. The Scallops appetizer is awesome, as is the port shoulder & the Risotto. The Ravioli was very good, tho' a bit too greasy, but too skimpy. Generally, you provide very good food/wine/great service, but it's all too expensive. When I recommend you, I have to qualify that it's a good place for those special occasions when cost isn't so important. But for more ordinary dining, I'd recommend elsewhere. Sorry. Food was very good. Service was very disappointing. And there was a table right next to us with teenage girls singing loudly for a long time - their parents AND NO EMPLOYEE in this small restaurant even tried to get them to dial it down. We couldn't hear our own conversation. Back to service, our server got one of our four entree orders wrong. We called it out immediately and her initial reaction was not an apology - that took a while. Then she said it could be 10 more minutes to get the right entree out to the table at which point we said, never mind we'll eat this instead. (We'd already waited 5 mins to get the last half of our 4 entrees delivered to the table.) Then another employee came up and said he could get it to the table in 5, so we switched back. Then when the check came it showed they comped us $30 in food, with each item circled with a pen. Only when you break it down, they only comped us $3 in bread, as the other items were all from the server's error - not anything we ate. Pretty rookie. Amazing staff! the dish from the owner's hometown is SO DAMN GOOD. If only I could remember the name of it. Meat with creamy sauce and fat noodles. 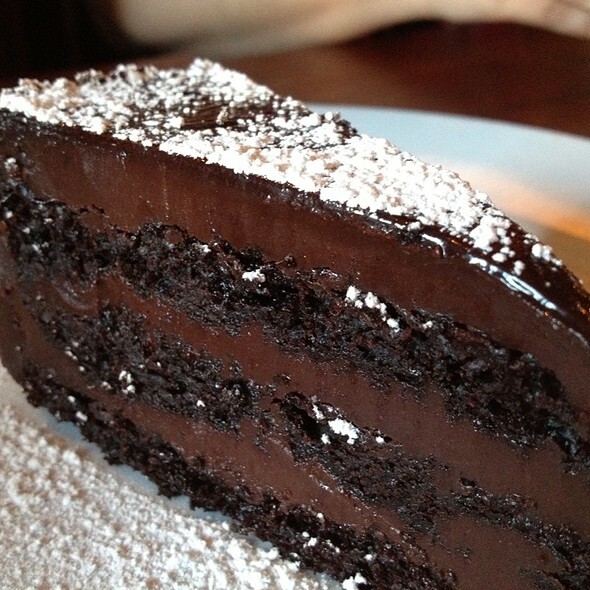 Chocolate cake+cabernet=yeessshhhrrrr. Would recommend to a friend. 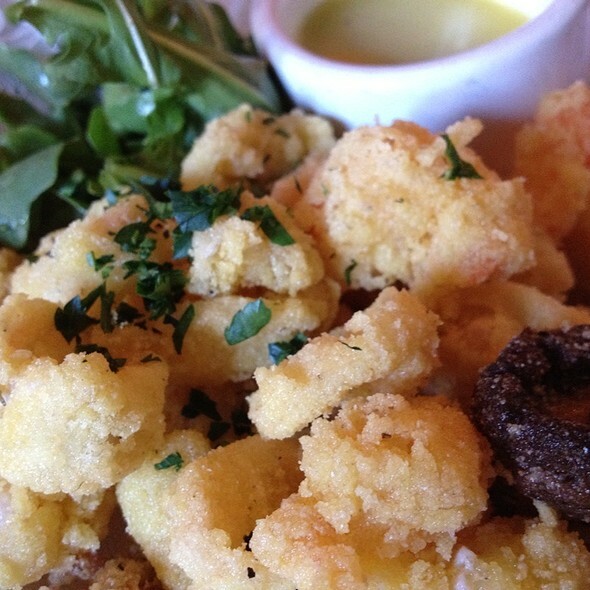 Riva Cucina is certainly one of the finest restaurants in Berkeley and the East Bay, if not the entire SF Bay Area. Chef Massimo Boldrini is a traditional Italian chef with a distinctively modern streak, playing with new ingredients and light preparations of classic Emilia-Romagna regional cuisine. If possible, leave room for dessert and an extremely interesting menu of apertifs. I have been a long time diner at Riva Cucina since it's inception. Bolognese was delicious as always. My only note was both Brucatini salads seemed to be the end of the box of greens. Small pieces and skimpy. Everything was excellent! Great pastas! I am also glad they added some cocktails to the menu. We really like Riva Cucina. We had asked for a quiet table when we made our reservation, and we were seated in their smaller, curtained-off area. Even though we were near a large party, we could actually converse without raising our voices, something that’s increasingly rare in the Bay Area. The food was excellent, and the service attentive. We’ll definitely return! The food is always delicious and the best Beet Salad I’ve ever had. That’s why we keep coming back! Salads and lamb shank memorable; seafood risotto only so-so; for dessert, choose panna cotta over torta della nonna. I had the best pasta dish there that I’ve ever had anywhere in the world, including Italy. Really fantastic. The whole meal was superior. Really excellent dining experience. The endive salad, the fritta mista, and the brussels sprouts side dish were all superb, and the fish dish and the gnocci were also very good. It's a reasonable place to talk, although, depending on where you are sitting, it can get a little noisy. Employees were quick, responsive, professional and hospitality-oriented. Food was tasty and nicely presented. Pleasant decor, very comfortable dining room. Happy to return as well as recommend! Service was amazing - helpful, charming, attentive. First bite of the lamb was slightly gamely; not bad just a little surprising. Tiny concern: the seats at our lovely, private table did not have backrests. Desserts were tasty. Drinks were wonderful; the dark walnut liquor was a unique treat. Riva Cucina provides a refined dining experience with a calm ambience. Service is observant and attentive without being intrusive. Food is well-prepare but not adventurous. Ambience is simple and refined. The inexpensive end of the wine list (by the glass) is quite satisfactory. We have eaten at Riva before and found the food excellent. This experience was not good! My wife found her food without taste. I found the texture of my food like paste. Our server was not at all attentive. My wife wanted pepper; I waved at servers and did not get their attention. Finally, I got up and commanded the attention of a server. This was not a good evening for us or Riva Cucina. I have already spoken of our time there to several people. It was about as good as it gets for a Valentine's dinner. Hidden Gem. Great Service, fantastic food. Consistent dishes always prepared and served fresh and to temperature for all guests at your table at the same time. Why can't all more upscale restaurants manage to do this? 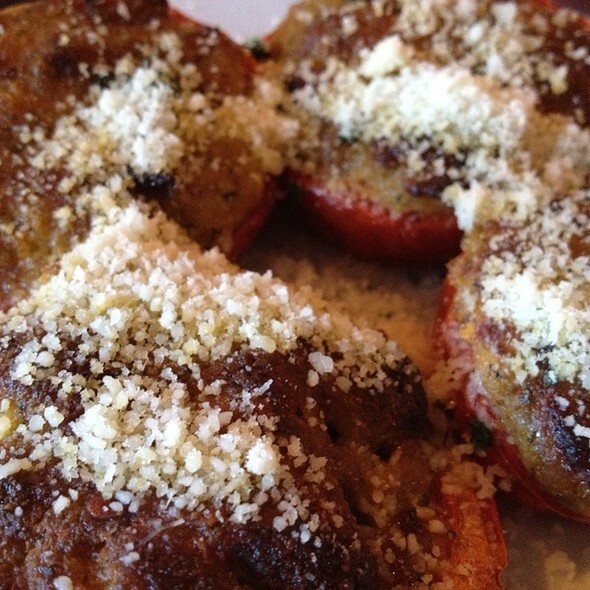 How great to have such a great Italian experience so convenient to our corner of Emeryville! Very nice vibe, great seasonal menus and reasonably-sized, very tasty portions. I bumped the service a little only because there were key moments we looked in vain for our server, mostly due to the ever-confusing mystery of why bread (or even bread-sticks are authentic) is so hard to get in nearly-authentic Italian restaurants in the States when it is part of every trattoria’s table-setting (MINUS the puddle of olive oil) in the home country. 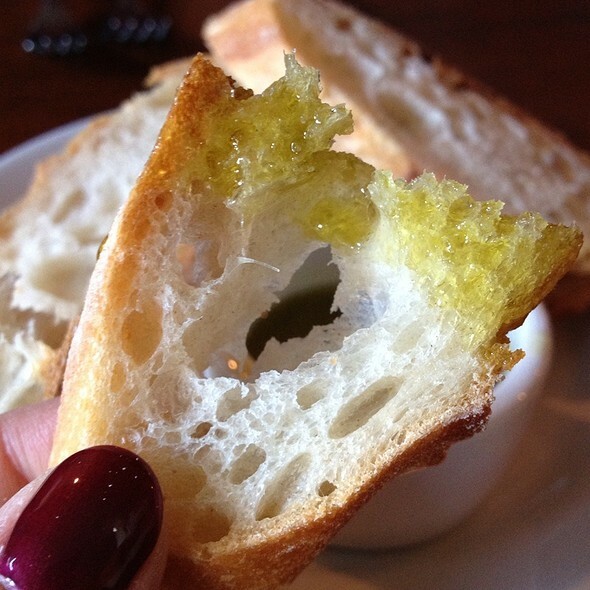 Very sad to miss cleaning one’s plate after the antipasto or pasta is eaten: the TRUE “puddle” for any self-respecting bread! Very nice and courteous staff. Delicious food. Elegant place. 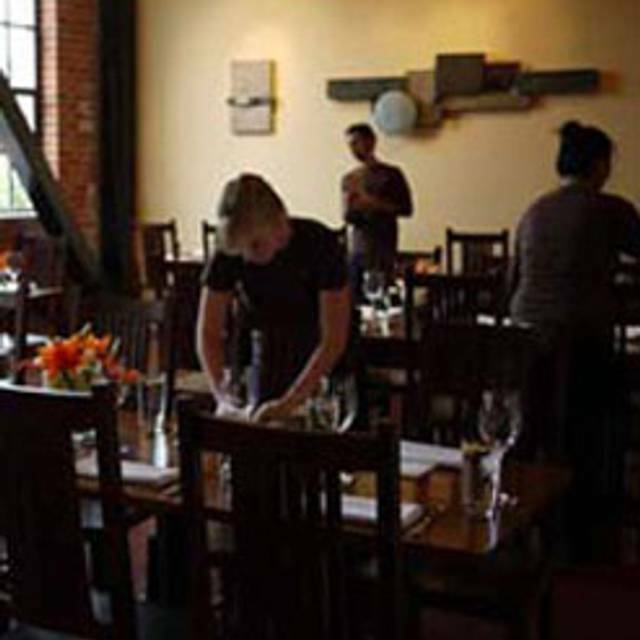 Riva Cucina is hidden away in an office/industrial area of Berkeley, on a side street West of San Pablo Avenue. We've eaten there twice and the food has been tasty, the service observant, the ambiance good and the noise level somewhat subdued. The restaurant does not have "buzz," for which I am thankful. The house red wine, a blend, was nice. I hope that the secluded location will keep the crowds down. Good food, wine, comfortable ambiance and not very noisy—a big deal for us in this day and age. A little pricey but we were treated well and the meal was lovely!